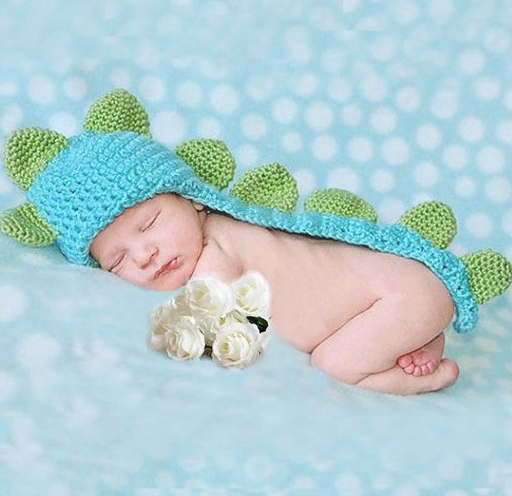 Crochet Infant Dinosaur Costume Photo Prop Only $4.39 + FREE Shipping! You are here: Home / Great Deals / Amazon Deals / Crochet Infant Dinosaur Costume Photo Prop Only $4.39 + FREE Shipping! How adorable is this newborn costume?! Grab this Crochet Infant Dinosaur Costume Photo Prop for just $5.41 + FREE shipping! This is perfect for newborn photos if you’re expecting a little one! Or, if you know someone else who is, this would make a fantastic baby shower gift!